Earlier this year, the Stirling Smith received an important bequest of a Raeburn portrait from the late Bruce Ritchie of Allan Park. 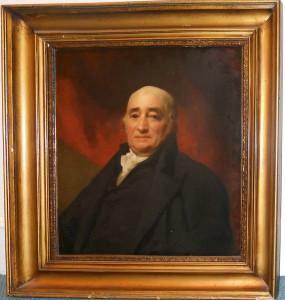 Sir Henry Raeburn was the foremost Scottish portrait painter of his time, and this is the first Raeburn portrait to come in to the Smith collections. ‘There are no entrance fees at the Smith. There is an ambitious outreach programme to schools and community groups. An extraordinarily diverse programme of lectures and events. But only half the income comes from official sources. The rest has to be raised through donations, sponsorships, legacies and gifts. The Smith is great, but has ambitions and can be greater still. As Patron of the Development Fund, I urge all of you to keep the contributions coming in. The portrait is on show until Sunday.